Neil Cavuto is something of a rarity at Fox: a civil presence and a critic of President Trump. Cavuto is a Trump skeptic on a network re-engineered as a safe space for a president whose appetite for televised affirmation is boundless. Cavuto is a relative model of civility, as far as such things are possible on cable news and especially Fox, letting such liberal guests as Democratic Sen. Ben Cardin have their say and get in a closing word. 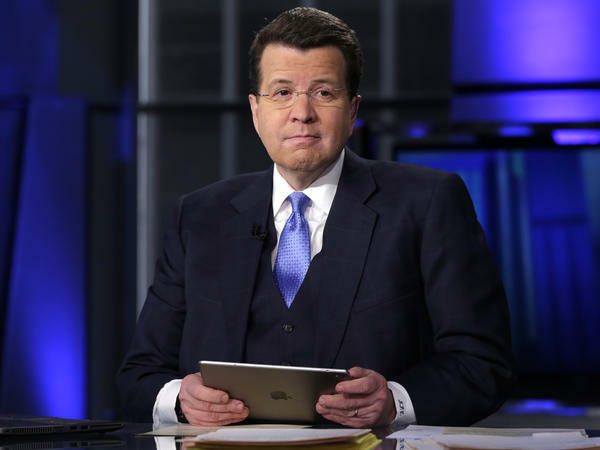 And, despite layers of physical challenges, Cavuto is a Fox workhorse: He now hosts 17 hours of live television a week on Fox News and its sister channel Fox Business Network. That last figure jumped early this year after his decision to take on two hours every Saturday morning. "We had four taped business shows on [Saturdays] and they were constantly getting blown out by breaking news. It's the nature of the beast," Cavuto recalls. "So I finally came to the conclusion, well, I might as well interrupt myself." On weekdays, Cavuto surfaces on the air in the slightly less doctrinaire hours between the chipper Trumpiosity of the channel's morning show, Fox & Friends, and the bankable bellicosity of Fox's prime-time lineup. On a recent visit, I noted that Cavuto's corner office used to belong to former Fox News host Bill O'Reilly. Despite occasional objections, Cavuto shies away from such bombast. "I think there are always loud voices in a room or at a network," he says. "I don't have a particularly loud voice. I don't shout people down. I just encourage I hope what will be adultlike debate and leave it at that." The former Carter White House intern has been, since Fox News' inception in 1996, a reliable champion of capitalism, the financial markets and free trade — a Wall Street conservative, if such terms did not carry so much added ideological and partisan freight these days. As he said on his Fox Business show recently: "I'm about the green; it's not red or blue." But Cavuto periodically flies the colors of his own flag. Earlier this month, he expressed his doubts about Trump's grip on the truth. "Now, I'm not saying you're a liar," Cavuto explained, recounting a vast range of Trump's misstatements as though he were talking to the president directly. "You're president. You're busy. I'm just having a devil of a time figuring out which news is fake." He devoted four minutes to dissecting Trump's credibility on his claims on everything from alleged affairs to phantom fraudulent voters. "I guess you're too busy draining the swamp to ever stop and smell the stink you're creating," he concluded. "That's your doing. That's your stink. Mr. President, that's your swamp." That Cavuto is on the air at all is remarkable. He has trouble with basic moves that other hosts take for granted: For example, he cannot reliably read a teleprompter. "I don't have a safety net to fall on," Cavuto says. "I will have notes. Usually, they're color-coded if my vision is particularly bad. The red stuff means, 'You really want to mention that, Neil.' "
The Trump era presents a very specific problem. "The tweets are the death of me!" Cavuto says. "They give it to me in large-point type." Cavuto's health challenges are daunting and have unfolded almost in sync with each new phase in his career. He received a diagnosis of Hodgkin lymphoma just months before his start at CNBC two decades ago. He was told he had multiple sclerosis the year after joining Fox News as one of its original anchors. A decade later — the same year that Fox Business launched with Cavuto as managing editor — doctors informed him that his MS was progressive. Which is to say the disease would advance and take an increasing toll on his body. On the day I visit, Cavuto acknowledges fatigue slows his ability to walk. To treat the stage 4 lymphoma, Cavuto says, he had much of his lung removed, so he gets pneumonia and bronchitis readily, compromising his voice. Additionally, two years ago, at the outset of the 2016 general elections, he had open-heart surgery after a coronary artery completely closed. Cavuto deflects his health concerns with self-deprecating humor: "Not to use that for an excuse, or pity, although I welcome both," he says. He was just coming out of the heart surgery when he learned of multiple sexual harassment allegations against his longtime mentor at CNBC and Fox News: the network's late chairman, Roger Ailes. Fox's controlling owners, the Murdochs, decided days after former host Gretchen Carlson filed a lawsuit against Ailes that the network's parent company should buy him out. Ailes maintained his complete innocence until his death last year. Cavuto says now that he initially thought he was imagining the scandal as a side effect of his medications, saying he had no idea of what multiple allegations depicted as Ailes' rampant, repeated misconduct. "I didn't believe it," Cavuto says now. "I still can't fathom it. I certainly didn't think that it would lead to the tumult that eventually happened. And months later, when I returned to work, much of the Fox I knew was gone, including so many of the principal players and talent." In the hours before this story first went to air, longtime Fox News programming executive Suzanne Scott was named the network's first female CEO — the only woman leading one of the major national commercial TV news shops, as Fox was quick to point out. Lachlan and Rupert Murdoch praised Scott for presiding over major changes in personnel, policies and newsroom culture at the network, including sweeping changes in human resources policies; the appointment of a new top executive vice president who reports to the top attorney for 21st Century Fox instead of directly to Fox News executives; the creation of a workplace diversity and inclusion council; mandatory network-wide training in workplace climate; and the appointment of more women to top executive and on-air positions. Fox News executives say the post-Ailes era has changed markedly: New corporate policies insisting on tolerance for diversity might previously have drawn barbs on Fox News shows had they emerged at other employers. The network earlier this week settled almost all the outstanding lawsuits and complaints against it. In the post-Ailes era, which has been accompanied by Trump's candidacy and presidency, Fox has redoubled its cultural conservatism. A lot of Fox's biggest names don't just take Trump's side: They call him with advice. Such confidants start at the top, with Rupert Murdoch, and include Sean Hannity, Jeanine Pirro and Pete Hegseth, among others. Fox's chief political anchor, Bret Baier, writes of the parallels between Trump and the late President Ronald Reagan in his latest book. Cavuto's skepticism toward Trump, by contrast, finds few takers among major Fox figures, with the exception of Shepard Smith, the anchor whose shows also run weekday afternoons. That puts Cavuto at odds with a president whom many loyal Fox viewers like and want to see defended. Cavuto says he is at peace with that. He says he is at peace with a lot of things. "I have a progressive disease. I'm not naive about it," he says. "The nerve endings that feed your esophagus on up will close. So there are ways to deal with that — with medications and the like — but I can't worry about it. "I'll know when I know. They even said here, 'Well, you tell us when it can't happen. When you can't do it.' And I will." Until then, he'll be on the air at Fox, 17 hours and six days a week.